Wesley House offers a gateway for Methodist people to the University of Cambridge. 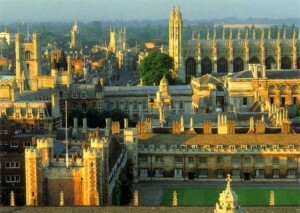 The second oldest university in England and the fourth in the world, Cambridge has educated students since the thirteenth century. Its reputation is built on some of the world’s key intellectual developments such as the discovery of the laws of motion and the calculus, by Sir Isaac Newton, the formulation of the theory of evolution by natural selection, by Charles Darwin and more recently the fundamental contributions to cosmology, made by Stephen Hawking. Today, the University frequently ranks first in the UK and Europe and offers one of the most stimulating learning environments in the world. Wesley House students will find themselves amongst Cambridge’s student body of 18,000, taking advantage of all the University and its remarkable city have to offer. The University of Cambridge term dates can be found on the University website. Wesley House is situated in the centre of the city of Cambridge and students can easily take advantage of the city’s theatres, cinemas, concerts, museums, churches, events, bookshops, and other amenities. The city is imbued with its university and Christian heritage, as evidenced by the stunning architecture and its many cultural and intellectual resources. Wesley House’s own buildings range from the Georgian frontage and the Art Deco chapel, to its brand new academic and accommodation blocks. The Wesley House site is a short walk from the River Cam and the architectural landmarks of King’s Parade, including the splendid King’s College Chapel. Many of the city’s largest parks are also within a short walk, such as Midsummer Common, Jesus Green and Christ’s Pieces. Wesley House has been embedded in the local Cambridge Methodist Circuit since 1921. Our students and staff preach in local churches and have been welcomed into the homes and lives of church members over the years. For overseas students there is a system of hospitality offered by local Methodists to help settle newcomers into life in the UK. Placements are possible in the two Methodist churches in the town as well as further afield, and in other settings such as Cambridge college chapels, ecumenical partnerships, the local hospitals and prisons. Methodism is a relative newcomer to Cambridge where the oldest standing church was built in around 1020. In medieval times, many of the colleges were founded in association with abbeys and monasteries and the University taught canon law and scholastic philosophy. The land on which Wesley House is built was part of the Convent of St Radegund established in 1135. From the 1520s, as the English Reformation began to take hold in the city, the emphasis of theological teaching moved towards the Bible. Among those involved in the Cambridge Reformation was Thomas Cranmer, author of the Book of Common Prayer, and there are various sites of Reformation importance in the city. A century later, East Anglia was the centre of what became the Puritan movement. Former students like Oliver Cromwell (1599-1658), Parliamentary commander during the English Civil War and subsequently head of the English Commonwealth, had a great influence on the Puritans who left for New England especially during the Great Migration decade of the 1630s. The first Methodist meetings were held in Cambridge in 1800, Wesley himself having been prevented from entering the city by the Puritan authorities. Today there are two Methodist churches in walking distance of Wesley House which are part of the Cambridge Methodist Circuit, Wesley Methodist Church and Castle Street Methodist Church. They minister amongst the great diversity of Christian presence in the city.